Geographical environment, especially climate change, has long been one of the most important driving forces in the evolution of human history. Climate change could cause wide and profound impacts on human society at multiple spatio-temporal scales through its direct effects on heat resources, hydrology, soil, disasters, and further interactions with social subsystems. Investigating the role of climate change in the rise or fall of past human societies has become a hot topic in recent years, to some extent fueled by the increasing attention on the impacts of global warming. Studies demonstrated different links between climate change and past human agency. However, it is undeniable that a deep discussion of climate-human relations has only just begun, and the mechanism of climatic impact is still very unclear. It is really a difficult and challenging task to bridge the history of climate change and human society because both human society and the climate system are huge, complicated systems, and there exist such complicated driving-response processes based on multiple-factor interactions. That is why the PAGES project advocates for more broad collaborative research across different disciplines in concept, theory, method, and data, and provides a systematic evaluation of the climatic impact on humans. Professor Fang’s team has long been focusing on the study of the relationship between past climate change and human society. In our opinions, there are several challenges in the study of the mechanism of past climatic impacts. Theoretical model: A reasonable theoretical and conceptual framework with operability is the key premise for understanding the climate-human relationship, and also the guidance for selection indicators and data analysis. For the typical agrarian-based imperial China, the food security-based framework provided by Fang has proved to be an applicable model encompassing the historical climate-society relationship. In this model, the climatic impact is most pronounced upon grain harvest in the food production subsystem. These impacts are then transferred further up to the subsystems of the economy, population, and society. Quantitative data: The paucity of long and high-resolution data of paleoclimatic reconstruction and the human socio-economic system is one of the biggest difficulties limiting quantitative exploration of the climate-society relationship. 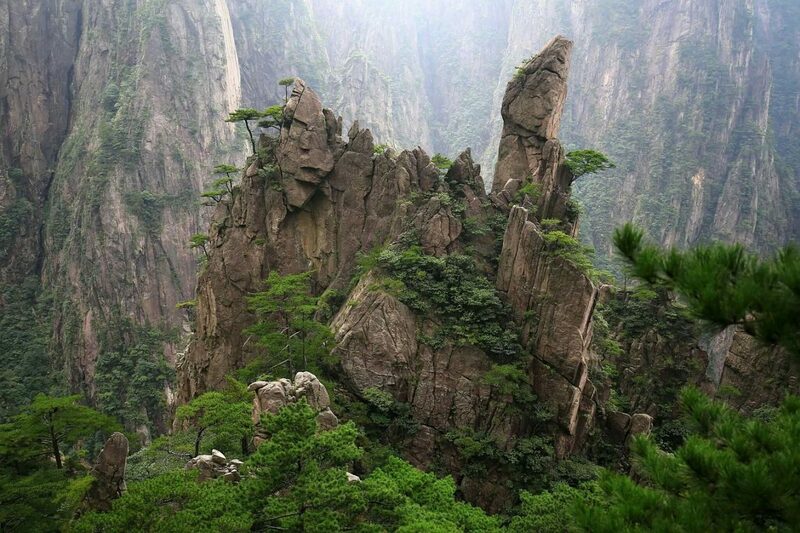 China kept abundant literature records of climatic variability and human response as far as 3000 years ago. There is great potential in using historical literature to quantitatively investigate the climatic social impact in China over the past 2000 years. Research methods: Using various statistical tools to quantitatively analyzing past climate-society relationship has become a trend in recent years. However, most statistics only provided a linear relationship or simple causality. In fact, the transmission process of climatic impact from climate to higher levels of society might be nonlinear and even more complicated, changing over time. This requires more and newer reasonable methods. Spatial and temporal dimensions: It would be totally different for the pattern of climate-society relationship with the change of study area, period, and analysis scale. In particular, social vulnerability usually played a more key role in climatic impacts. Thus, more case studies are essential and significant. Historical China, especially eastern China (25–40°N, 100–125°E), was an ideal study object due to its unique climate of East Asian monsoons and high dependence of social development on the climatic conditions and agricultural production. In this paper, we attempted to deal with some of the above challenges. We focused on quantitatively comparing the climate-impact transmission pathways from temperature change (climate system) to grain harvest (produce system), macro-economy, and fiscal balance (economic system), under different climatic conditions between the Han Dynasty (206 BC-220 AD) and the Tang Dynasty (618–907 AD), based on the food security-based framework. These two dynasties are the longest unified dynasties with great prosperity in Chinese imperial history. The three key 10-year resolution proxy series of human society used in this study were reconstructed using the method of semantic differential based on Chinese literature. We used the probability distribution (dendrogram) of three situations of indices to convey the layer-by-layer transmission of climate change impacts on the agricultural and economic subsystems and illustrate their nonlinear relationship. 30-year cold and warm units were selected as the analysis scale. The close positive correlations for each pair of indexes indicate a basic transmission pattern from temperature to grain harvest, macro-economy, and fiscal balance for both the Han and Tang periods. Moreover, climatic impacts’ pace widely decreased, as reflected by the decrease in the occurrence rates from the former to the latter points along these transmission pathways due to modulation by other socio-economic factors. However, with the upgrade of the climatic impact level, there existed some differences for the pathways between the Han and Tang periods. The decremental rate of transmitted impacts was relatively small during the warm units between the Han and Tang periods, and approximately 33% of the decades for warm units (100%) ending with fiscal balance/surplus were more likely to be associated with the impacts of temperature change. The most significant difference mainly lies in cold units in the links of “cold → poor harvest” and “poor harvest → macro-economic depression” through the pathway of “cold → poor harvest → macro-economic depression/normal economy → fiscal deficiency.” We found that 33.3% of the decades for cold units (100%) ending with fiscal deficiency were likely to be associated with the impacts of temperature change. This percentage was 50% lower than that of the Han period (66.7%), indicating that the macroeconomy and fiscal system of the Tang period overall displayed less sensitivity to temperature change and agriculture production in cold periods. There were many factors contributing to the different patterns for the climate-society relationship during the cold periods. Three of the most influential ones might be related to the unique socio-economic situations including agricultural fragmentation, a southward shift of economic resource, and tax system reform during the later cold Tang Dynasty. These findings are described in the article entitled Comparison of climatic impacts transmission from temperature to grain harvests and economies between the Han (206 BC-AD 220) and Tang (AD 618-907) dynasties, recently published in the journal The Holocene (28(10) 1598–1608). This work was conducted by Zhudeng Wei from Nanjing University of Information Science & Technology and Beijing Normal University, Xiuqi Fang from Beijing Normal University, Yun Su from Beijing Normal University, Beibei Li from Nanjing University of Information Science & Technology, Xueqiong Wei from Nanjing University of Information Science & Technology, Jun Yin from the Institute of Geographic Sciences and Natural Resources Research in China. Zhudeng Wei is a lecturer at School of Geographical Sciences, Nanjing University of Information Science & Technology, China.